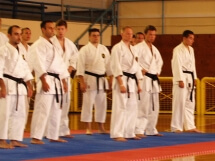 2005 was marked with a great summer camp in Crete, Greece. 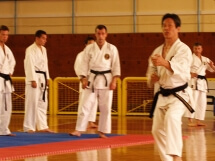 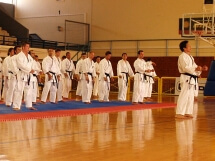 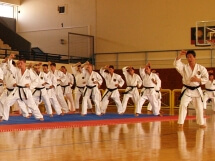 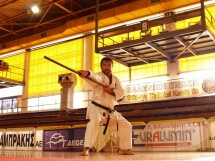 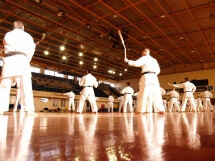 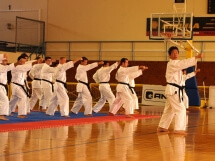 Our “base” was mainly the capital of Crete, the city of Heraklion, where the Honbu Dojo of Shito-ryu Shukokai Union Greece is located. 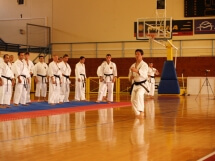 We had a series of seminars with Tsutomu Kamohara sensei (8th Dan at the time, 9th Dan at present), accompanied by Kobudo seminars by sensei Nikolaos Karaiskakis 5th Dan SSU at the time and 1st Dan Kobudo), wrapped in a holiday package that included an excursion to Chania city in West Crete and the video shootings of katas by Kamohara sensei.